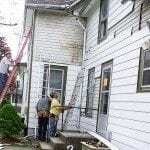 Removing aluminum siding from this 1903 building made this a Craftsman home once again. This house was pretty lucky to be bought by owners that understood their home’s full potential. Covered up under aluminum siding for many years, wood cedar shingles were anxiously waiting to bask in the sun again. Brick covered up under black painted stucco and a porch hidden from view by dark screens yearned to see the light. Not to mention the neighbors with well preserved homes can now look forward to seeing the value of their homes rise! 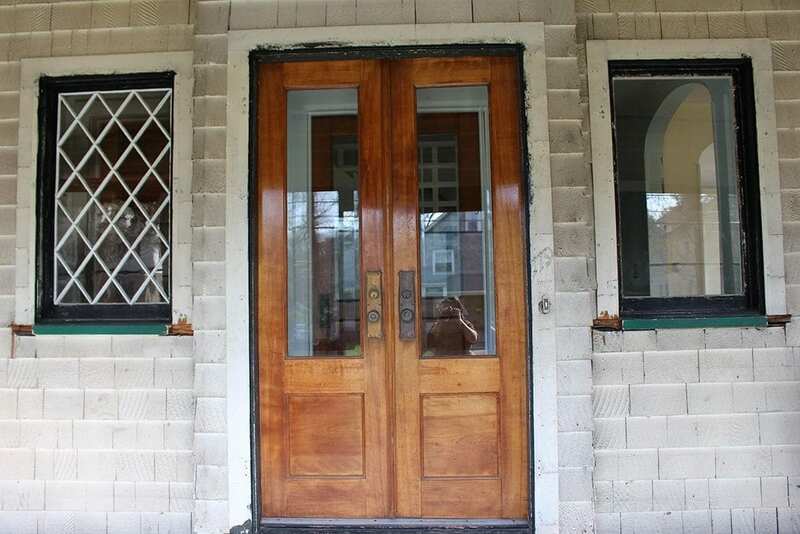 Although unsightly, aluminum storm windows protected the original 1903 wood windows. The new homeowners contacted OHG for a final restoration image to guide their contractors. 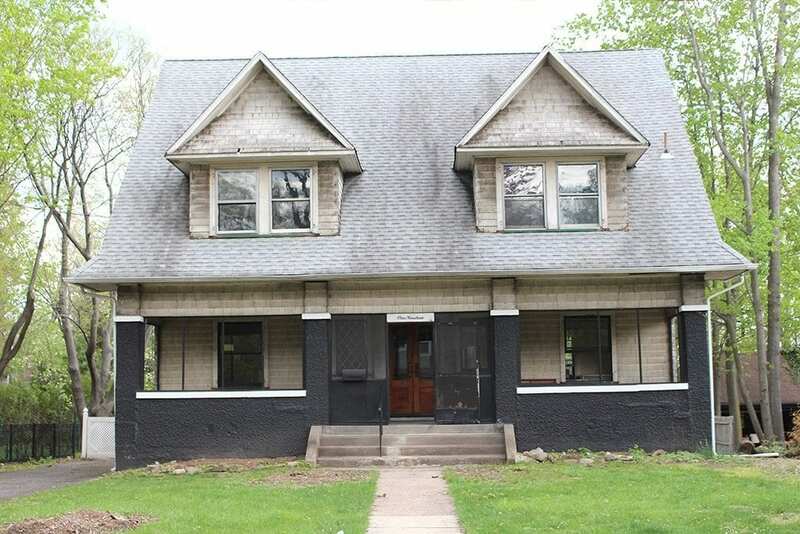 1903 Craftsman home hidden under aluminum siding and black painted stucco. So here we have a major cover up. Cedar shingles are hidden away under aluminum siding. Notice that the window casings are covered up also. Although aluminum siding is not toxic like vinyl siding and fake looking, it still destroys the home’s appearance. 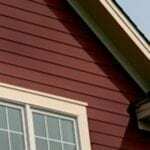 One good thing about aluminum siding is that it doesn’t have that fake wood grain embossed into it to make some people believe it looks like wood. The porch and columns were originally brick. This brick was covered up under black painted stucco. There are nice features on the porch but they were all hidden behind black screens. 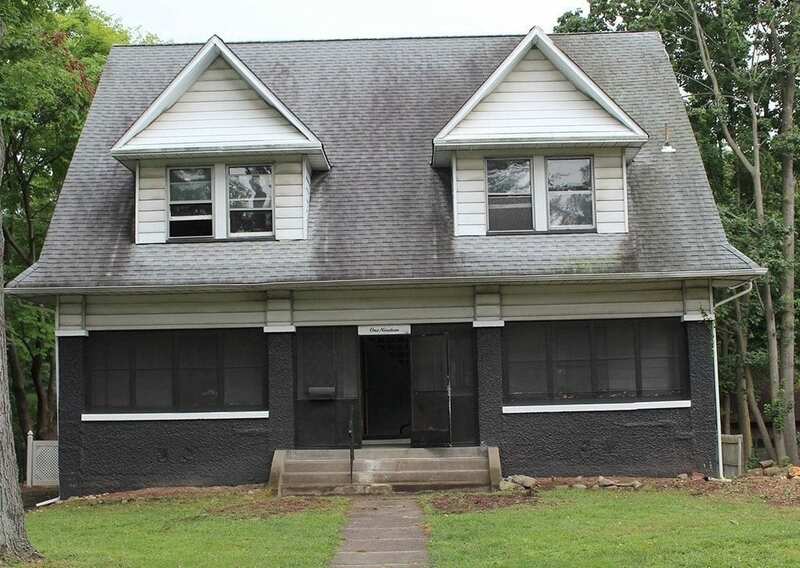 One questions what the previous owners looked like if this is what they did to their house! The first step in bringing this Craftsman house to life was to remove and recycle all that ugly aluminum siding. Here is the result. Aluminum siding is removed revealing cedar shakes and window casings. After many years, the wood just needs cleaning and some fresh paint. Notice what a difference the window casings make. The original 1903 wood shingles, although dirty, only need a good cleaning and some fresh paint. They covered up everything they could but thankfully they did not harm the doors! 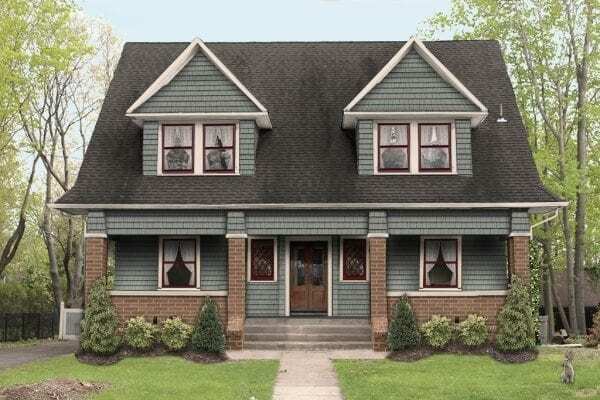 Double doors are not a common feature on Craftsman style homes. Thankfully these and the doors inside the vestibule remained unpainted throughout the years. When aluminum siding was applied the window casings remained but were covered over. The window sills however were destroyed for easier aluminum siding installation. Old House Guy restored this house to what it was originally designed to be and this is the result. 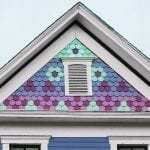 This is a graphic restoration for the homeowner and contractors to follow. Grayish blue paint with ivory trim work well with the brick. Once again this is a Craftsman style home. The only alteration that was made to the original design was to add a brick buttress to each side of the entrance steps. This image can now be used to guide contractors with their restoration work. This house and the neighborhood are very lucky to have new homeowners that care enough to take the extra step. 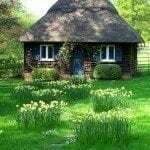 Need help with your house? Contact us.